Order levels indicate that auto supplier Veoneer Inc (NYSE: VNE) has gained share in the active safety market, and its 2019 backlog growth potential appears strong, according to Longbow Research. Analyst Anthony Deem upgraded Veoneer from Neutral to Buy and set a $40 price target. The order intake momentum of $900 million in active safety in 2018 supports a 2020 revenue target in this market of more than $1 billion, Deem said in the Monday upgrade note. The company's 2022 target of more than $2 billion is supported by “evidence of future share gains and strong capability in key technologies such as LiDar, software and vision,” the analyst said. 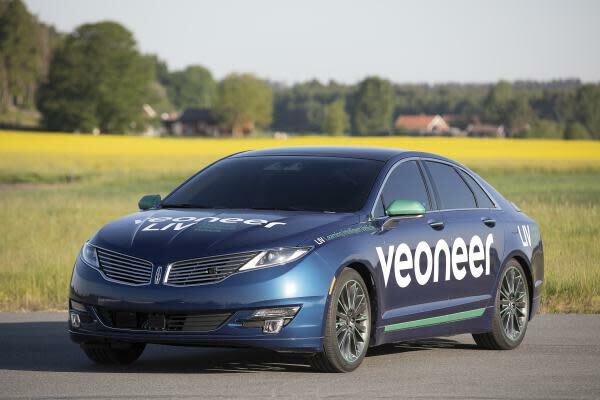 Veoneer is poised for additional backlog gains in active safety in 2019 and beyond given its growing OEM bid list, Deem said. “As it relates to restraint control systems, we are more bullish on the market share and autonomous vehicle content per vehicle growth opportunity." The company's risk-reward profile seems attractive, as an estimated enterprise value of $2 billion for the active safety segment for 2020 takes the enterprise value assumption for 2022 to $3.6 billion, even with a conservative active safety revenue target of $2 billion by 2022, according to Longbow. Veoneer shares were trading up 2.73 percent at $29.37 at the time of publication Monday.